Chris is the CEO of 3D Robotics and founder of DIY Drones. 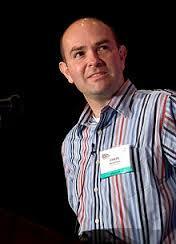 From 2001 through 2012 he was the Editor in Chief of Wired Magazine. Before Wired he was with The Economist for seven years in London, Hong Kong and New York in various positions, ranging from Technology Editor to US Business Editor. Leslie Levy August has more than 25 years of experience in global trade facilitation with a specialty in temporary exports. She is a co-owner of Corporation for International Business aka boomerang carnets which provides over 7000 temporary export documents, to US companies exhibiting and selling overseas, annually. As an evangelist for ATA Carnets, Ms. August provides ATA Carnet training for US organizations involved in product promotion, demonstrations and international trade fairs and exhibitions, helping them avoid payment of duties and taxes on temporary imports. Her blog hyper-focuses on global ATA Carnet news and activity with posts targeted to industries that rely on temporary exports to sell overseas. Leslie also moderates a LinkedIn ATA Carnet User and Discussion Group to serve the worldwide community of logistics professionals and carnet users. Maha Calderon is a published writer and commercial photographer, as well as an FAA-certified flight instructor. Maha received her BA in journalism from Texas State University. Doug served as the Co-Chair of the ICAO UASSG, and the Vice-Chairman for EUROCAE WG-73. 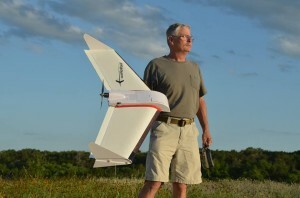 Doug resigned from the FAA in May/09, still staying in the Unmanned Aircraft community. Doug is currently with New Mexico State University Physical Science Laboratory where he is the Director for Global UAS Strategic Initiatives. Doug is co-chairing the SARP along with Dr. Steve Cook from Mitre and is the Civil Air Navigation Service Organization (CANSO) Representative to the ICAO UASSG. He is currently serving as the Technical Advisor to the Chairman of EUROCAE WG-73 and leads an independent team of UAS and Airspace Subject Matter Experts called the Global Airspace Integration Team (GAIT). Jonathan Downey is the Founder and CEO of Airware, a fast-growing startup company focused on providing a universal platform for the safe and reliable operation of unmanned aerial systems (UAS). Airware’s professional development platforms for small commercial drones combine autopilot hardware, a flexible software architecture, and an open API. These platforms provide common drone functionality with the option to tailor high-level software to a specific market or application. Downey began working on small UAS while studying at the Massachusetts Institute of Technology (MIT). After graduation, he joined Boeing to work on the development of the A160T Hummingbird, a fully autonomous 6,000 lb helicopter, which broke the world record for longest endurance helicopter flight. Downey founded Airware in 2011 due to both personal and industry frustrations with the inflexible and costly “black box” autopilots on the market. Airware began shipping to select customers in late 2012. In the first half of 2013, Downey led Airware to raise approximately $14 million from top investors in Silicon Valley including Andreessen Horowitz, Google Ventures, and First Round Capital. Patrick Egan is the editor of the Americas Desk at sUAS News and host and Executive Producer of the sUAS News Podcast Series and Drone TV. 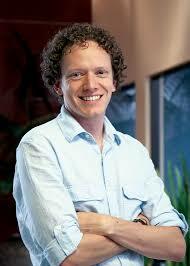 He also serves as President of the Silicon Valley Chapter of AUVSI. 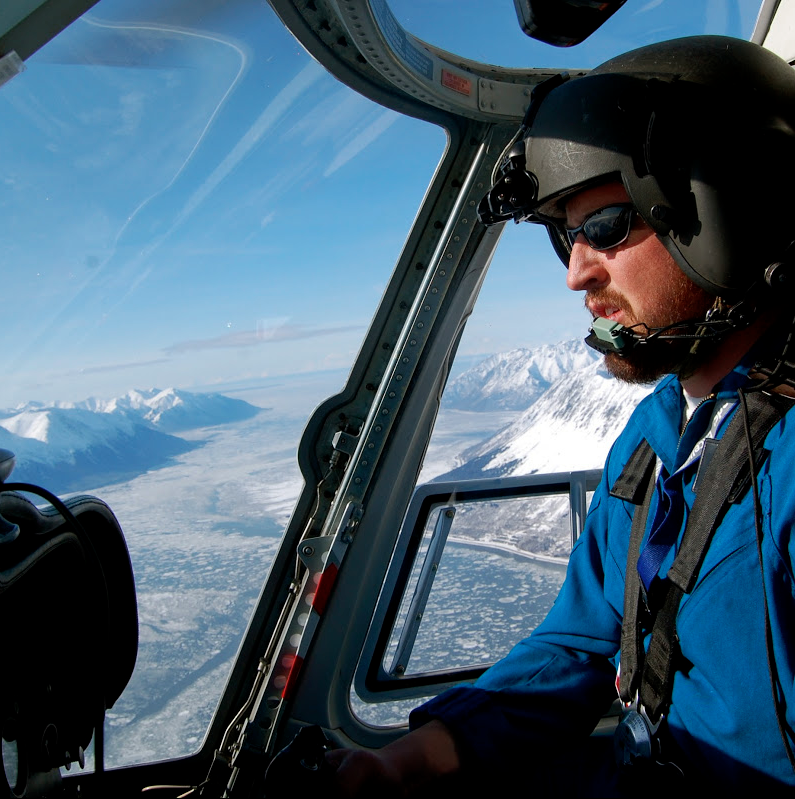 Jonathan Evans is a dual-rated professional pilot and nine-year Army veteran. He’s a co-founder and the CEO of a Portland-based tech startup called Rising Tide Innovations that’s building software for commercial UAS operators and their clients. He also sits on the board of the Cascade chapter of AUVSI, and is the contest director for “Drone Prize 2014”; a national contest connecting drone enthusiasts with the public good. Harshil Goel is the Chief Executive Officer of VIRES Aeronautics, overseeing daily operations, R&D, and business development. 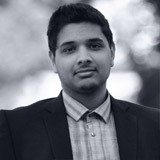 Harshil is the inventor of the VIRES UAV Control Surface. 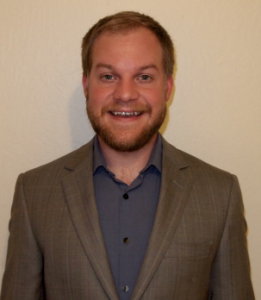 Danny Hajicek started working with UAS in 2009 as a researcher and payload developer at the University of North Dakota’s Unmanned Aircraft Systems Engineering laboratory. During his time there, he performed research related to phased array software and antenna design and was a member of the team that took first place in the 2010 UAV Outback Search and Rescue Challenge in Queensland Australia. Danny received his Master’s degree in Electrical Engineering from UND in 2011. He then began working with Field of View on their intelligent agricultural aerial imaging systems designed to help service providers reliably deliver desirable data to the ag market. Gary is a software developer, product owner and lifelong aviation fan. He’s been designing and building miniature aircraft and RPVs for over 20 years. He is best known in the aviation community for his work on the Horten Ho 229 and the NatGeo documentary “Hitler’s Stealth Fighter“. Gary is also leading a project to build a wildlife tracking drone for a large non-profit. Gary lives in San Jose and works for Sunrun, Inc. in San Francisco. Gary is designing and building a 3D printed drone to demonstrate the feasibility of making drones entirely by additive manufacturing. This is a challenging undertaking with today’s low-end printers. Gary will talk about the problems encountered and solutions discovered. 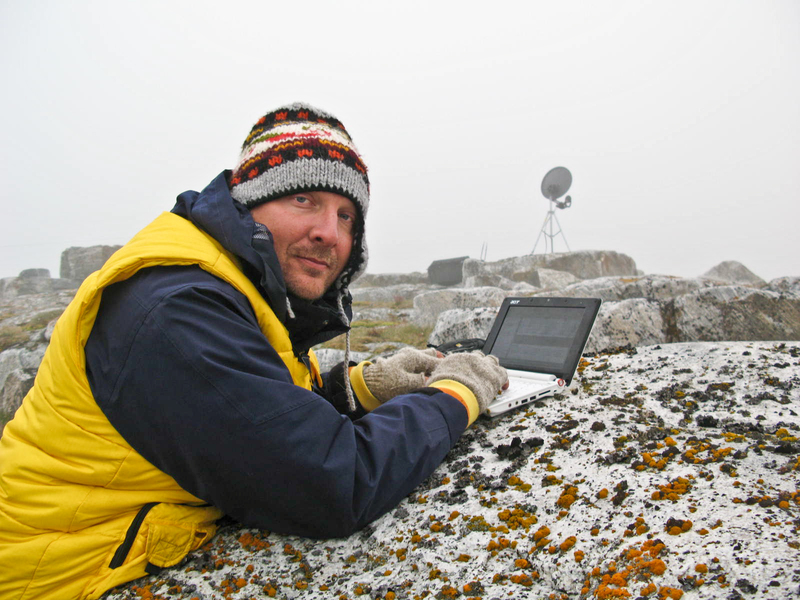 Todd Jacobs, National Oceanic and Atmospheric Administration, is currently the Deputy Superintendent for Operations and Administration for the Channel Island National Marine Sanctuary and a Project Scientist with the NOAA UAS Program. He has been with the NOAA National Ocean Service since 1989. His background includes facilitating research projects using research vessels, manned submersibles, aircraft and unmanned aircraft systems. He has been the principal investigator on more than 20 UAS science missions and has been involved with the NOAA UAS Program since its inception in 2004. 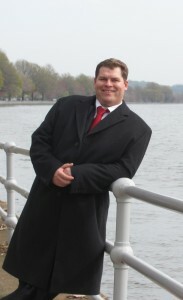 Gabe Ladd is CEO and Founder of Advanced Concepts Consulting. 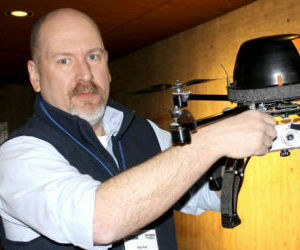 He has spent the last twelve years working with UAV/UAS for civilian applications. He specializes in sensor and data system design and analysis. He helps his clients to build and implement custom data systems using a mixture of COTs and custom hardware and software to produce data products and analyses that are delivered in standard methods for easy dissemination and communication. Rory has a very strong background and interest in all things technical! He started his working career in product engineering roles in the graphic arts and communication industry working for international companies and startups. His technical interest took him to the field of nondestructive testing and he started his own business in 2003 in South Africa. He relocated to the US in 2005 and continued this business while investigating the uses of UAV systems with specific applicability to the US agricultural sector. President, TrueNorth Consulting, LLC, an aviation consulting organization specializing in regulations, standards and legal issues relating to the integration of unmanned and remotely piloted aircraft into civil airspace. Division Manager, UAS Regulations & Standards Development at the Physical Science Laboratory, New Mexico State University, previously a Professor of Aviation at the University of North Dakota. 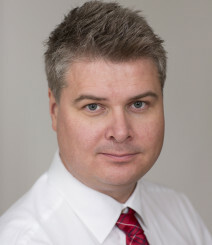 He has been engaged full time on UAS related activities for over 9 years, is the co-editor of two books related to aviation, co-author of the recently published “Introduction to Unmanned Aircraft Systems” and is the author of numerous published articles on aviation law, regulations and remotely piloted aircraft. He has served on RTCA SC-203, ASTM F-38 and SAE G-10 Committees, the AUVSI Advocacy Committee, the Arctic Monitoring and Assessment Program UAS Expert Group, the Small UAS Aviation Rulemaking Committee and the current UAS Aviation Rulemaking Committee. 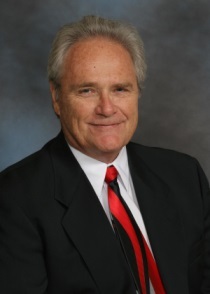 He has also served on the Steering Committee, Civil Applications of Unmanned Aerial Systems Conference, Boulder, CO. and several other committees dedicated to the development of UA systems and has delivered presentations on international aviation regulations and airspace issues at conferences around the world. Lorenzo Martelletti is the Sales and Business Development Manager of Pix4D, a Swiss company and global leader in UAV processing software solutions. Mr. Martelletti holds a master degree in environmental engineering and has an academic experiences as a scientific collaborator on webgis at EPFL, an intern on remote sensing of vegetation at NASA Ames Research Center and as a researcher on near-surface geophysics at University of Florence. Prior to Pix4D, he has worked for international projects for geophysical and hydrographical surveying, biofuels and carbon offsetting in forestry operation. Wolfgang Juchmann has more than 14 years of international experience in technical sales, product management, and marketing of industrial lasers and optical products for a variety of applications. The combination of Juchmann’s technical background, commercial experiences, and his passion for customer satisfaction are unique factors that enable him to profitably lead new product developments for Velodyne’s LiDAR division as well as manage existing product portfolios with an intimate awareness for the customer’s expectations. Juchmann started his international career as a Technical Sales Engineer in Germany and moved to Mountain View, CA in 2001 to accept a position as Product Manager with Spectra Physics with responsibilities for Diode-Pumped Solid State lasers. 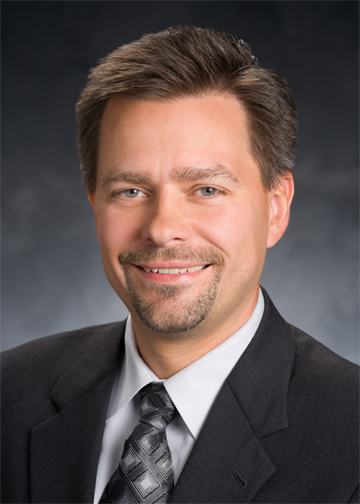 In 2009, he took on new responsibilities with Coherent, Inc. in Santa Clara as Senior Product Manager for the Direct Diode and Fiber Systems Business Unit. Juchmann earned his Ph.D. in Laser Spectroscopy of combustion flames and thin-film deposition plasmas from the University of Heidelberg, Germany. He currently resides in Aptos, CA with his wife and enjoys watching his son grow. 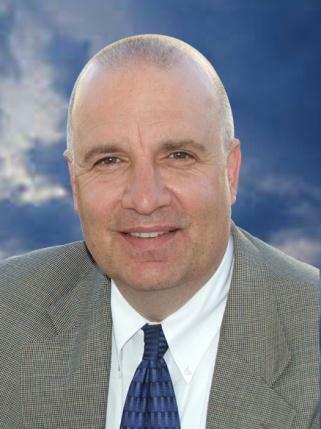 Rich is responsible for Alta’s overall product strategy, brand, and marketing communications. Rich has over 20 years of experience in technical, marketing, and business management roles. Rich joined Alta Devices from Microsemi Corporation, where he was Vice President of Marketing for their FPGA business via the acquisition of Actel. 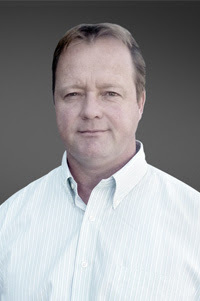 Prior to Actel, Rich held M&A and Product Line VP roles at Exar and Sipex. Rich began his career at Cypress Semiconductor where he spent 14 years in progressively more senior technical and marketing management roles. He has six issued patents, and a Bachelor’s in Computer Engineering from the University of Illinois, Urbana-Champaign. Mr. Moe has an extensive background from strategic business development, market operations analysis and management of key UAS projects. He has lead several large industrial UAS asset projects for Europe’s largest oil company and Norway’s largest power utility company. Parimal Kopardekar (PK) serves as the Manager of the NASA’s NextGen Concepts and Technology Development Project. He has published more than 40 articles. He enjoys initiating new concepts and technology ideas that increase airspace capacity and throughput, reduce delays, and reduce the total cost of air transportation. At NASA, he has initiated many innovative research initiatives including reduced crew operations, net-enabled air traffic management, autonomy for airspace operations, Shadow-Mode Assessment using Realistic Technologies for the National Airspace System (SMART NAS), and low-altitude airspace management system focused on UAS operations. He is recipient of numerous NASA awards including Outstanding Leadership Medal and Engineer of the Year. He holds Ph.D. and M.S. degrees in Industrial Engineering and Bachelor’s degree in Production Engineering. 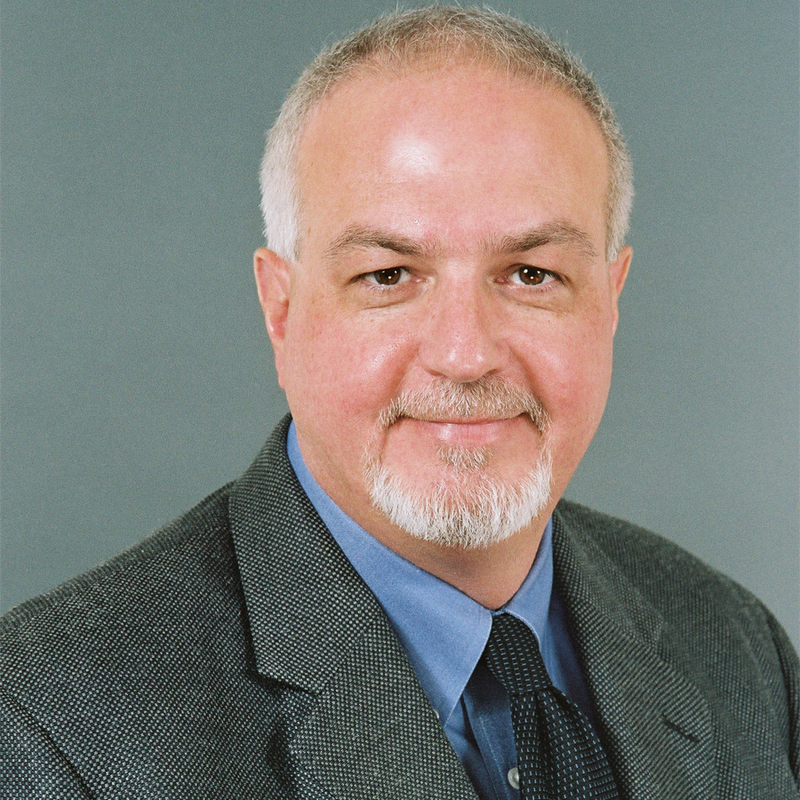 He also serves as the Co-Editor-in-Chief of the Journal of Aerospace Operations. 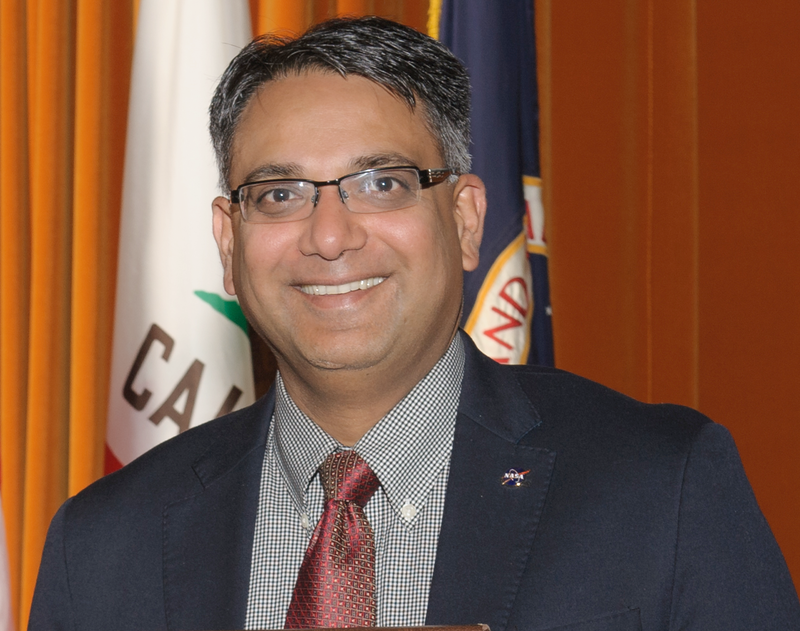 Kourosh Langari has 27 years of experience(20 years with California Department of Transportation- Caltrans and 7 years with URS) in infrastructure engineering design and integration of engineering software applications (i.e. Autodesk, Bentley & ESRI) to increase design efficiency and establish industry’s best practices. URS has been involved in UAS programs since their inception. Today, we are one of the leading contractors in the UAS market and provide the services required to design, build, test and fly unmanned systems. Longer term applications for UAS are limitless. For instance, there is increasing interest in using UAS to monitor Large Construction Sites and ports, to perform aerial photography and land surveying. As part of this effort URS Infrastructure team are developing standards and bench marks for UAS platform to collect Geo Referenced Digital Imagery and Airborne LiDAR Data sets to be processed an d provide real time Digital Terrain Model (DTM) and Digital Surface Model (DSM) with design grade accuracy for planning, Design and construction of Infrastructure facilities. In the 80’s Lucas already found himself fascinated by technology. He wrote his first program on a Commodore 64. And as a computer hacker he pointed out security vulnerabilities in the early days of Internet and mobile communication. After his studies he worked in different technology and security related areas. 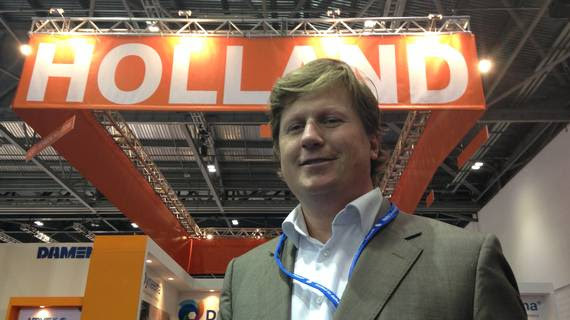 In 2009 quad copters caught his attention and in 2011 he joined forces with his business partner Robin van de Putte to start creating the Aerialtronics eco system for development of next generation drones. Prof. Marko Peljhan founded the arts and technology organization Projekt Atol in the early90’s and co-founded Ljudmila, one of the first media labs in Eastern Europe, in 1995. In the same year, he founded the technology branch of Projekt Atol called Pact Systems, where he developed one of the first Global Positioning System based participatory networked mapping projects, the Urban Colonisation and Orientation Gear 144. He has been working on the Makrolab, a global project that focuses ontelecommunications, migrations and weather systems research from 1997-2007, the Interpolar Transnational Art Science Constellation during the International Polar Year (project 417) and is currently coordinating the Arctic Perspective Initiative art/science/tactical media project focused on the global significance of the Arctic geopolitical, natural and cultural spheres. Peljhan has been the flight director of ten parabolic experimental flights in collaboration with the Microgravity Interdisciplinary Research initiative and the Yuri Gagarin Cosmonaut Training Centre. 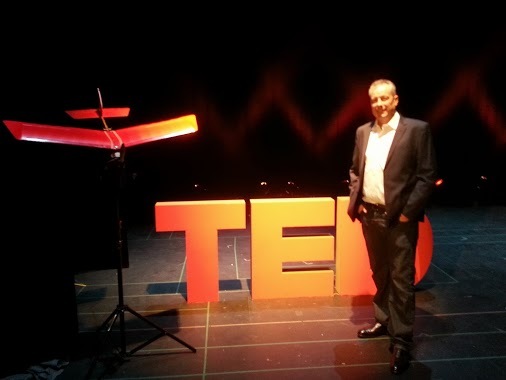 In 2007 he co-founded C-Astral aerospace, a vertically integrated unmanned systems based company in Slovenia, which was formed after eight years of research into unmanned systems in the arts and tactical media contexts. Prof. Peljhan is also one of the initiators of the SPACE-SI space sciences and technologies center of excellence where he is coordinating international cooperation and the development and future utilization of a civilian, 2.5mGSD interactive remote sensing satellite. He is the recipient of many prizes for his work and presented at more than 500 conferences and venues in the last 15 years. He holds a professorship at the University of California Santa Barbara in the Art and Media Arts and Technology departments and was appointed as Co-Director of the UC Institute for Research in the Arts in 2008, where he is currently coordinating the art/science Integrative methodologies initiative. He is the director of the MAT Systemics laboratory, where among other projects, he is leading the development of agile and adaptable sensor networks. One of his first critical projects in the unmanned systems context has been the SYSTEM-77 Civil Counter Reconnaissance project in 2004. (http://s-77ccr.org). C-ASTRAL currently produces one of the most advanced small UAS systems for surveying and remote sensing (the BRAMOR gEO) and the C4EYE video imaging system. Bogdan Radu holds a master degree in aerospace engineering and has over 30 years of experience with major aerospace OEMs in developing new technologies for aircrafts and engines. He has a very strong background and interest in all things technical and he holds an aircraft engineer FAA license. Passionate for developing new technology and manufacturing processes for aerospace and automotive, Bogdan holds over 20 issued patents for new technologies. For his outstanding career and developments, Bogdan was nominated multiple times in the Who’s Who in America. 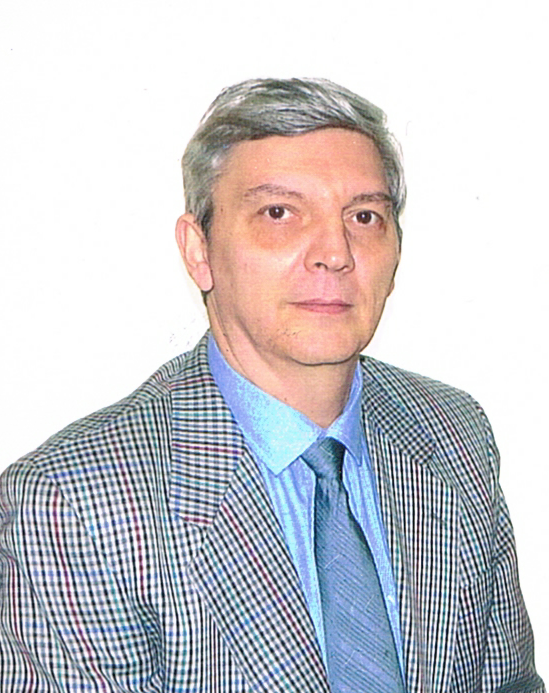 Bogdan is currently the president of Advanced System Engineering which creates and develops new technologies. One of his new developments is FIPSI (Flying Innovative Personal Space Icon) which can deliver solutions needed in emergency situations that brings help easier and faster, everywhere and every time. Gene Robinson, RPFlight Systems, Inc.
Gene Robinson founded RPFlight Systems, Inc. in March of 2004 and performed the research and development required to produce the flying wing as a stable payload platform. Gene’s formal education is in aviation science and is a full scale pilot. Utilizing his professional background as a computer programmer/analyst, the marriage of software image analysis and the use of computers for enhancing images was utilized early on. Henri Seydoux CEO Parrot S.A.
Mr. Henri Seydoux Founded Parrot, Inc. and has been its Chairman and Chief Executive Officer since June 2003. 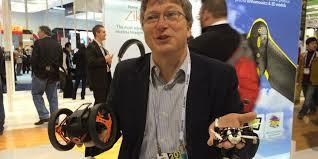 Mr. Seydoux founded Parrot S.A., in 1994 and has been its Chairman and Chief Executive Officer since January 31, 1994. He serves as a Partner at H2i Technologies SA. Mr. Seydoux began his career in 1978 as a Trainee at the French magazine Actuel, where he was later employed as a Journalist from 1979 to 1980. In 1981, he joined the sales team at the Matin de Paris newspaper. In 1982, he joined SSCI as an Operating System Software Developer. Colin Snow is a manager for SAP’s mobility products (NYSE: SAP) and has a background in manufacturing, software development, marketing management, and industry research and analysis. He operates Drone Analyst, a small UAS blog site and research firm. Colin built and flew remote control model aircraft from high school through college. After earning an M.B.A. he worked in the medical imaging industry and later combined his passion for photography and aeronautics in 1992 to start practicing aerial photography from manned aircraft. In 2010, he began doing aerial photography and video with multirotor helicopters. His volunteer work appears on the website of the Filoli mansion – one of the National Treasures of the National Trust for Historic Preservation. Recognizing the market potential for small UAS in other industries, Colin started Drone Analyst with the aim of helping owners and investors of product and services firms with research and industry analysis. 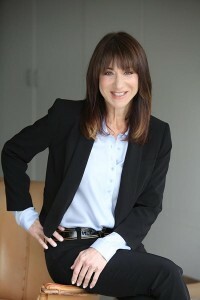 Vikki Stone is a veteran of the insurance and risk management industry, with more than 30 years of experience placing commercial and personal lines for middle market companies, manufacturers, distributors, property owners, technology firms, individuals and families. 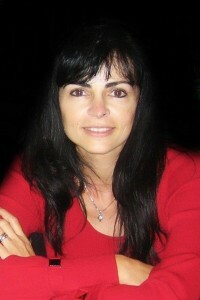 She is currently Senior Vice President at Poms Associates. 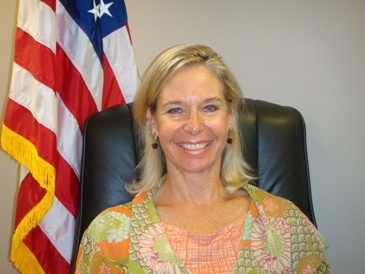 She was previously President of Stone, Harris & Stone, which was acquired by Poms & Associates in March 2012. Vikki earned a Bachelor of Science in Finance/Business Administration from the University of Southern California, Marshall School of Business. 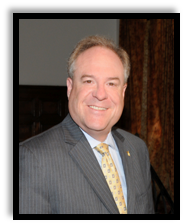 Jim Williams is the Manager of the FAA’s Unmanned Aircraft Systems (UAS) Integration Office. This office functions as the single agency focal point for all UAS-related activities and is uniquely positioned to develop and coordinate solutions to UAS challenges across the FAA and with external organizations. UAS are often described as the most disruptive aviation technology since the invention of the jet engine, and the FAA’s UAS Integration Office has the daunting challenge of accomplishing the safe, efficient, and timely integration of this technology into the National Airspace System (NAS), while balancing the political pressure and economic needs of the nation.